Fitness Savvy looked online and discovered 317 online user reviews of the JLL R200 Luxury Home rowing machine. Overall, this rowing machine scored 4.4 out of 5. Users were pleased with sturdiness, comfort and value for money. 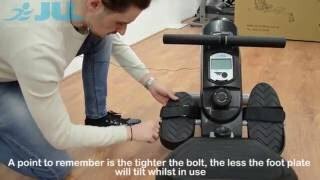 Great for beginners and intermediate users, the JLL R200 home rowing machine has 10 magnetic resistance levels, built-in rollers for your convenience and it folds in half to save space for when not in use. This quiet and comfortable rowing machine also features an LCD monitor and advanced belt driving system for even better results. If you’re looking for the JLL R200 luxury home rowing machine best price, then you’re in the right place. When adding this product to our price comparison section, we saw it was available from eBay and Amazon. Prices change daily, so be sure to check back with Fitness Savvy before making your purchase. To help you save more, we’ve added discount codes and vouchers which might be applicable to the JLL rowing machine R200. 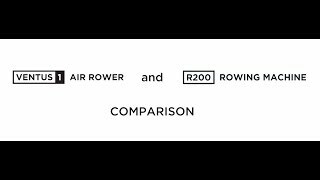 In case you’ve lost your copy, or want to check it out before you buy, here is a link to the JLL R200 rowing machine instructions PDF. It includes the assembly guide, parts list and general set up instructions.